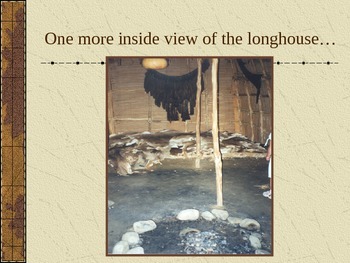 This PowerPoint features the Powhatan Indian village of Pocahontas, the three ships that brought the Jamestown settlers, and the Jamestown settlement in Virginia of Captain John Smith. 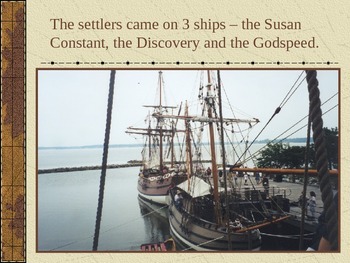 The author's original photographs depict the first permanent English settlement in the New World, thus beginning the Colonial Period in America. 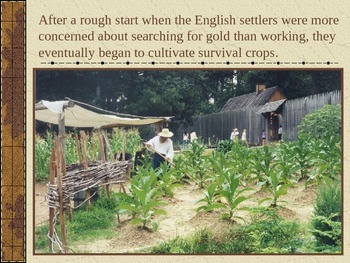 This PowerPoint can easily be used for a variety of age levels.